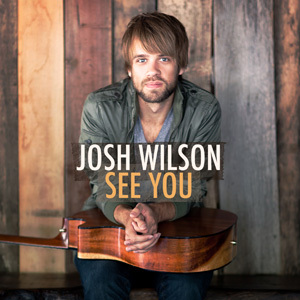 The new twelve track album by Josh Wilson is called See You. This is Josh's third album and is produced by Matt Bronleewe (Natalie Imbruglia, Jars of Clay, Selena Gomez). On first listen, my initial thoughts were that this albums has a similar sound and style to albums by people like Brandon Heath, Matthew West, Jason Gray and Mat Kearney, yet after a few listens it's clear that this acoustic guitar songwriter has his own style and vibe. Read More The new twelve track album by Josh Wilson is called See You. This is Josh's third album and is produced by Matt Bronleewe (Natalie Imbruglia, Jars of Clay, Selena Gomez). On first listen, my initial thoughts were that this albums has a similar sound and style to albums by people like Brandon Heath, Matthew West, Jason Gray and Mat Kearney, yet after a few listens it's clear that this acoustic guitar songwriter has his own style and vibe. I am not a fan of comparing artist to other artist (even if I have just done that, sorry), I find it unfair as Josh does has his own songwriting style and everything that goes with making an album, yet it is very easy to put Josh in the acoustic, mid rock genre (nothing wrong with that at all). On this album Josh has stretched himself musically, mastering over 20 instruments outside of the obvious acoustic/electric guitars and piano. Through the album you can hear Josh playing such distinctive instruments as the ukulele, hammered dulcimer and glockenspiel, to name just a few. In regards to the tracks on the album, Fall Apart has a summer feel, think Michael Buble but even happier than his usual self and that could be a close comparison of what the song sounds like. I Refuse is a great radio friendly song, with a heartfelt foot-tapping chorus. It Is Well (Instrumental) is an amazing acoustic guitar version of the well known hymn, firstly it shows the skill of Josh playing with some great guitar picking, and secondly to hear something so different slapped bang in the middle of the album was a bit of fresh air, this should really be a standout track. 'See You' is a great album from Josh Wilson, musically creative, the tracks blend well to make the album flow, yet at the same time the songs don't sound the same. Musically Josh is a very talented guitarist, and on the songwriting front Josh excels as well with great story telling in songs like Shine On Us and Always Only You. If you're looking for an album to get ready for the upcoming summer, this album should be given an opportunity to make it into your collection.